Louis Philippe Joseph d'Orléans, most commonly known as Philippe, was born at the Château de Saint-Cloud. 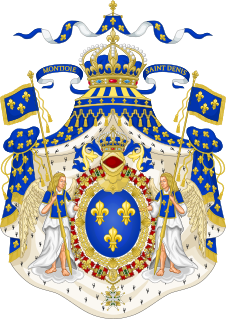 He received the title of Duke of Montpensier at birth, then that of Duke of Chartres at the death of his grandfather, Louis d'Orléans, in 1752. 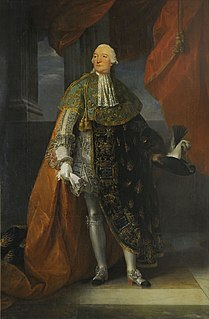 At the death of his father, Louis Philippe d'Orléans, in 1785, he inherited the title of Duke of Orléans and also became the Premier prince du sang, title attributed to the Prince of the Blood closest to the throne after the Sons and Grandsons of France. He was addressed as Son Altesse Sérénissime (S.A.S.). 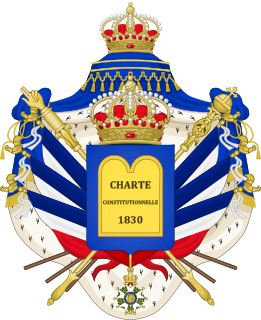 Prince Louis of Orleans, Duke of Nemours was the second son of King Louis-Philippe I of France, and his wife Maria Amalia of Naples and Sicily. Louise Marie Adélaïde de Bourbon-Penthièvre, Duchess of Orléans, was the daughter of Louis Jean Marie de Bourbon, Duke of Penthièvre and of Princess Maria Theresa Felicitas of Modena. At the death of her brother, Louis Alexandre de Bourbon-Penthièvre, prince de Lamballe, she became the wealthiest heiress in France prior to the French Revolution. She married Louis Philippe II, Duke of Orléans, the "regicide" Philippe Égalité, and was the mother of France's last king, Louis Philippe I, King of the French. She was sister-in-law to the princesse de Lamballe, and was the last member of the Bourbon-Penthièvre family.